Naturally, some of us are like, “What did we do wrong?”, “Wait, what’s this?”… and so on. Several foreigners have also reported having difficulties transferring money using the app, paying Didi fares, or using NFC (near field communications) -based transactions. One person reported the verification process happens in transactions that reach the RMB 51 mark. In several WeChat groups, people said they believe this new move may be part of tighter control of digital payments and something about annual money transfer limits. Your account is not allowed to use the WeChat Pay function. Please upload your ID information. Restriction reason: According to the regulation, you need more ID information. After some reluctance, I’ve tried to verify my individual account and so far, it is a very straightforward process. Fill in your information, which includes your valid ID (in this case, your passport number) and mobile number. Upload photos. 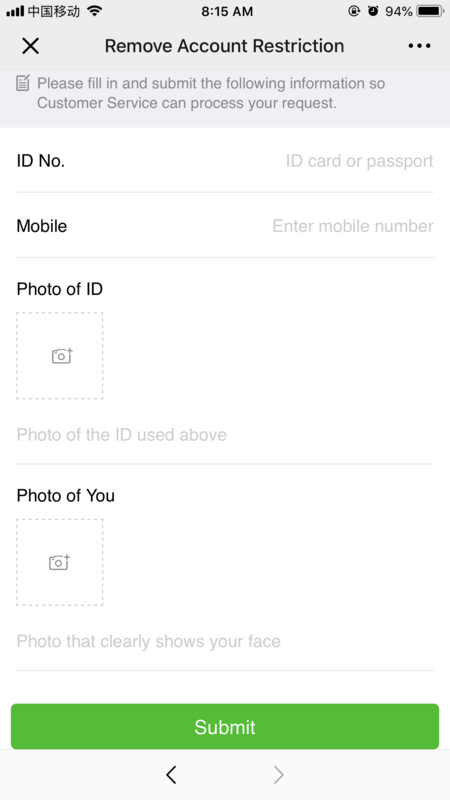 There isn’t a clear requirement for the “Photo of You” part, so I just sent a studio photo just to be safe. Tap “Submit”. That “Customer service can process your request” part took less than 5 seconds. Once you sent these details, you can use the WeChat Pay function as if nothing happened. What are those local regulations? 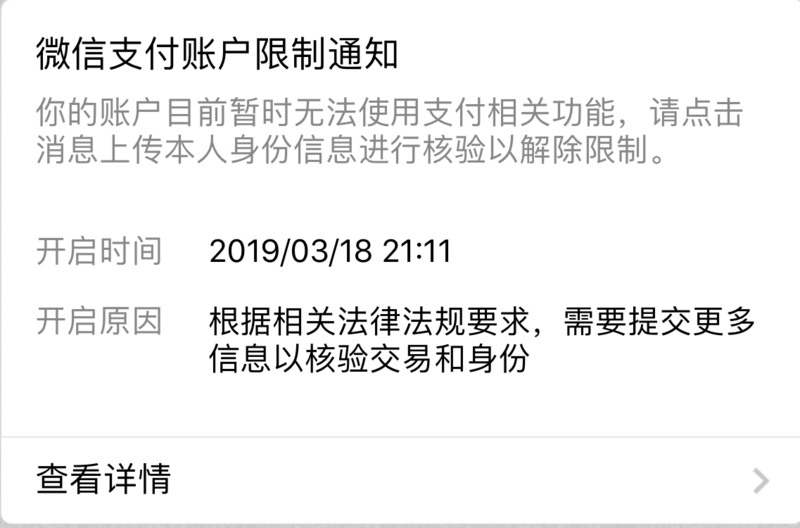 So far, WeChat has not yet explained the details of those “local regulations”. However, at the beginning of this year, the People’s Bank of China implemented a new regulation that requires WeChat and Alipay’s large quota transactions to be turned over, citing “gray areas” in mobile transactions in the e-commerce industry. The People’s Bank of China also issued a notice on requirements for non-bank payment institutions to report large transactions. If the amount of single transactions on WeChat and Alipay is too large, specifically, if they exceed RMB 50,000 (and the foreign exchange exceeds USD 10,000), they must be cleared by the authorities. We’re still trying to find out. Our team has called WeChat’s service hotline but we received automated responses. 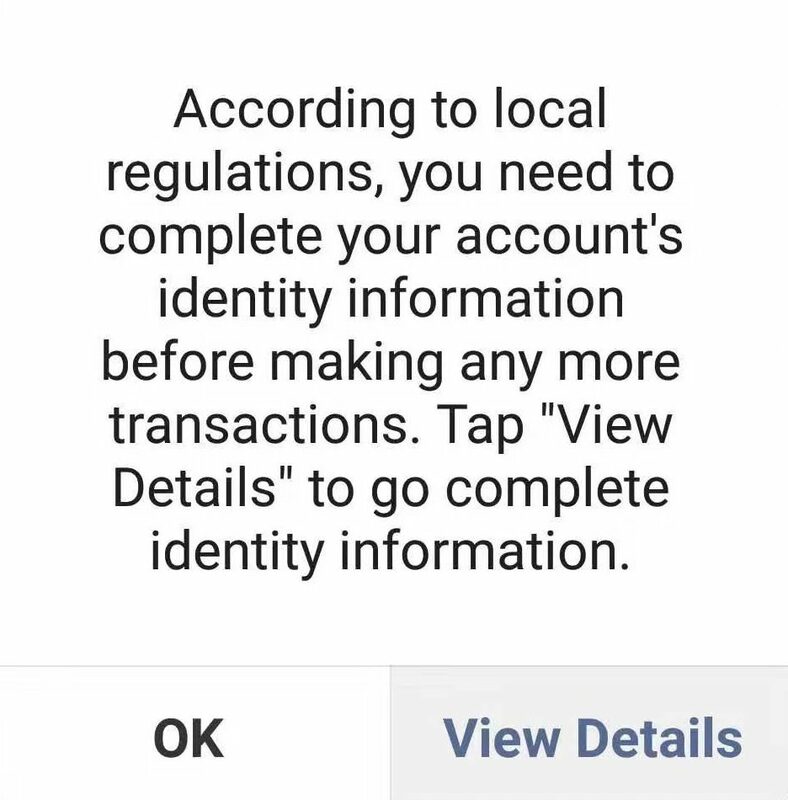 But it is important to note that WeChat already has a chunk of our information since we need to verify our account using our mobile number (which is linked to your passport) and banking information. One PR practitioner, who wished to stay anonymous, believes the move is related to “tax and legality purposes”, though it happened without any notice. For Mike Shaw, global communications strategist at PR Newswire Asia, spending 30 seconds of sending more details to WeChat is not a big inconvenience, though he highlighted another risk. We’re still checking out the effects this change will have on normal transactions. We’ll update you as more information comes in.